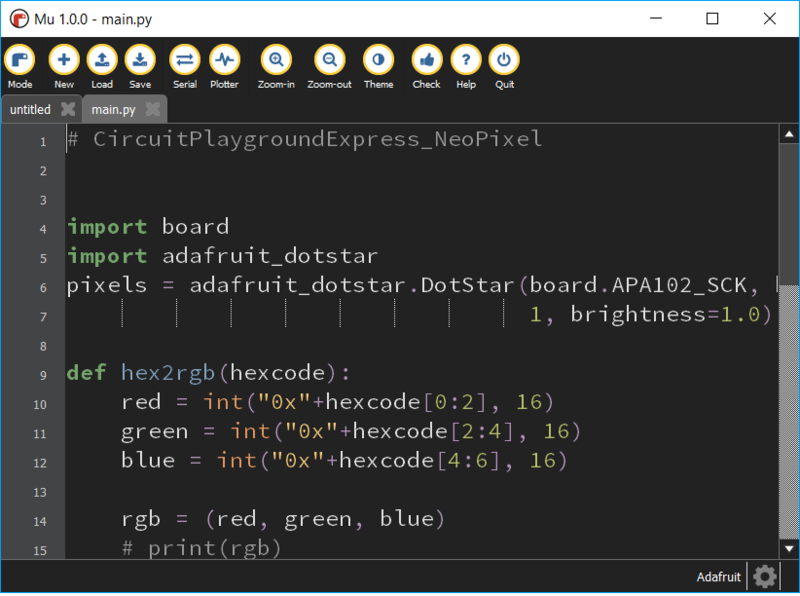 For those of you who don’t know, CircuitPython is a programming language and environment for small computers and microcontrollers that is sponsored by our friends at Adafruit. It is a variant of Python, and a fork of the popular MicroPython that’s been out for a few years. However, CircuitPython has a few differences that are really helpful for Assistive Technology., and we’re going to use it to amazing things! 3 This is Happening! Join us! All of the Atmel SAMD21 (referred to as “M0”) and SAMD51 (referred to as “M4”) boards. What this means for us is that we have a variety of boards that cost between $5 and $40 that can all be programmed very easily using a language that most students and Makers know: Python! The Circuit Playground Express is Adafruit’s Education board: it is specifically designed to let students learn physical computing and has all kinds of input and output devices baked right into the board. You can learn all about it in their product page. In short, it’s an incredibly powerful tool – and it’s just $25! Provide beautiful graphical output for menu systems, badges, etc. We use Feathers’s quite a bit but being able to use them with CircuitPython will dramatically increase the simplicity of our designs. In fact, our SwitchBoard Relay Device is actually in a FeatherWing format! These boards are tiny and cheap! They’re as simple as possible while still being useful, and we love them! The Trinket M0 is just $9 (about $7.15 in bulk with Adafruit’s discount) and is the size of your thumbnail! We’ve already started using these tiny boards! You can see them in use in our solution for Michelle Brose’s “Hand Raising” solution and in the upcoming “KeySwitch” Switch Interface for Everyone! And they can do all of this just by editing a standard text file. Certainly any OT, SLP, or STEM club member can do this. For those who want to go further, the actual Python code can be changed to create more complex options like Morse Code, Game Pad Key combinations and much more! This is Happening! Join us! I’m happy to say that ATMakers will definitely be using CircuitPython this year as we build more and better AT Solutions for our end-users, so we’ll need some help! Previous Post2018 Adapt-A-Thon is Coming! We Need Your Help!Next PostAdapt-A-Thon 2018 was a Huge Success!